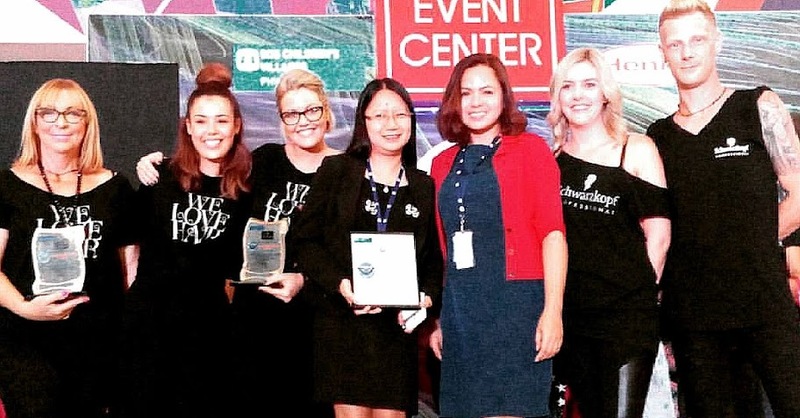 Receiving the certificates of appreciation are (center) SM City Lipa Mall Manager Liza F. Dimaculangan and PR Manager Wendy C. Bautista, together with the Schwarzkopf hair specialists from Australia and New Zealand during the culmination event of Shaping Futures. SM City Lipa has been supporting advocacies in the promotion of welfare for women through SM Supermalls’ SM Cares program. Thirty women and youngsters were given free hairdressing training by the world renowned beauty care brand Schwarzkopf Professional. The training was part of Schwarzkopf’s “Shaping Futures,” a unique training program dedicated to teaching disadvantaged youngsters the craft of hairdressing so they can forge a brighter future for themselves. Its unique training program has powered the company's growth around the world, with Jordan and the Philippines two of the five new country additions in 2014. 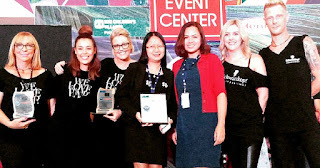 They were given five modules during the two-week training for which volunteer Schwarzkopf hairstylists from New Zealand and Australia lovingly shared their time and skills in hair cutting, hair perming, hair coloring, hair styling and hair re-bonding. Schwarzkopf Shaping Future also provided livelihood starter packs for the training graduates that they can use as they start their new profession as hair dressers.